What do you expect when your dentist tells you that you have to undergo root canal treatment in order to save your tooth? 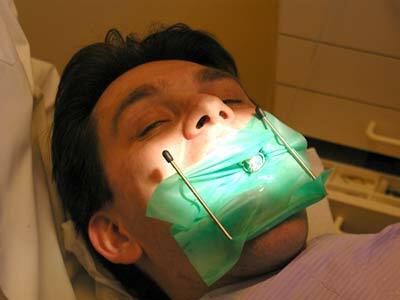 Read here to find out when do you need root canal treatment. First of all, most of the dentist will take a radiograph image of your tooth before proceeding to any other procedures. It is necessary to check whether adequate bone level is there around your tooth so that he/she can determine the prognosis of the treatment and whether the tooth is worth saving. From the radiographic image, your dentist also can judge whether the tooth is only having an endodontic problem which only requires a root canal treatment or whether is an endodontic-periodontal problem which requires root canal treatment and periodontal treatment. It also helps the dentist to visualize the particular tooth to prevent any faults during the treatment , such as angulation to place instruments. Local anesthesia is given before the treatment to prevent any pain during the procedure. Before your dentist starts to drill your tooth, he will isolate it with a piece of rubber ( Rubber dam) and secure it with a rubber dam. By placing a rubber dam, we can prevent small instruments from dropping into patient’s throat, saliva contamination into the root canals and allow better visualisation for the dentist. After that, he will drill a hole on your tooth to locate your root canal orifice. In other words, the dentist will create an access opening to allow pulp extirpation of your tooth and shaping the root canal walls to facilitate a better filling in the next procedure. When the root canal orifice is located, another radiograph will be taken to confirm that the root canal has been found . After it has been confirmed, pulp extirpation will be done using a small instrument which we call broach. Then, the length of your root will be determine either radiographically or using a machine (apex locator) so that an effective cleaning and shaping of your root canal can be done. There are different method of cleaning and shaping of your root canals, and it depends personally what method to choose. It is necessary to perform this procedure because there are still some pulp remnants and debris here and there in your root canals. By placing several instruments ( files) into your root canals , we can clean and create a nice taper shape and reduce the numbers of microorganisms. If you noticed that your dentist uses some solution during the treatment, it is actually sodium hypochlorite solution to flush out debris and bacteria in between the cleaning process of your root canals. It is normal to expect slight pain after the first appointment because there might be some pulp remnants left inside your root canals and pain will resolve after adequate cleaning and shaping procedure is done. Obturation is performed after your dentist has finished the root canal cleaning process. The root canal walls are now in nicely tapered shape and the root canals are now ready to be filled. Most of the dentists will prefer to use gutta percha as obturating material as it is easier to manage and self sterilizing. He will choose a suitable size of the obturation cones which represents almost the same size of your root canals and place it into your root canals . He will heat an instrument and compact the gutta percha as well as remove the excess obturating material. A permanent filling will be placed on top to cover the cavity made by the dentist to access the root canals and further advanced treatments such as crowns, bleaching can be plan to restore any lost tooth structure and discolouration. 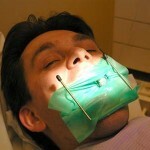 Follows up will be done to check the outcome of the root canal treatments. If signs and symptoms still persist, maybe a retreatment should be plan in the future. Root Canal Treatment- How is it performed? This entry was posted in Endodontic treatment, Oral Care and tagged Endodontic treatment, procedure, root canal therapy, root canal treatment on July 17, 2011 by SH.